I love this bright, happy green! 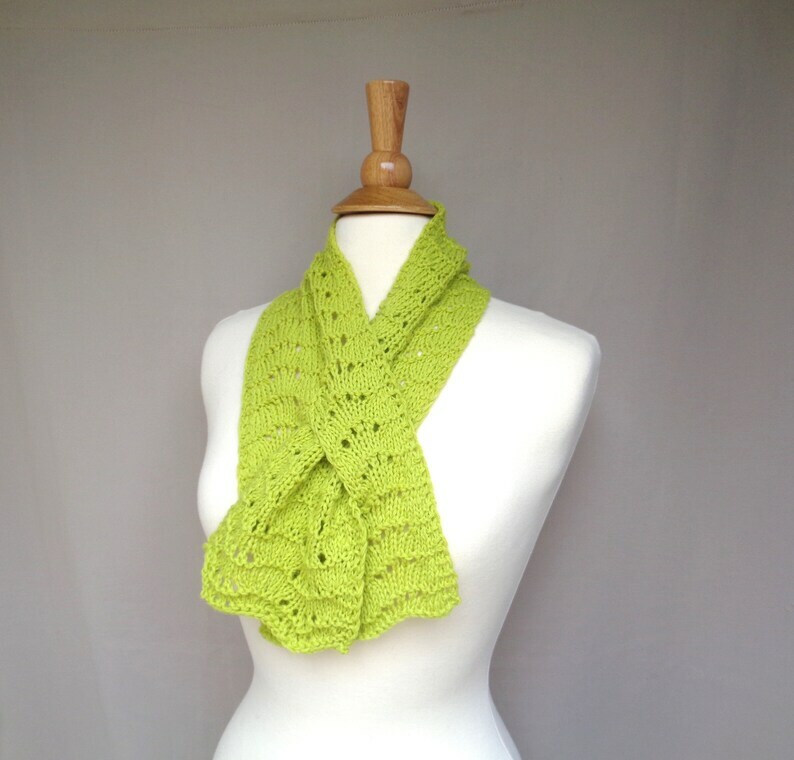 You'll enjoy wearing & accessorizing with this chartreuse green keyhole scarf - a comfortable, stay-in-place style with a slit to pull the opposite end through. Hand knit in a super soft cashmere and merino wool blend yarn. Soft and lightweight. I used a scallop lace pattern for a pretty look. Enjoy the luxury of natural fibers, and proudly support Girlpower!